Facebook. I know, I know. Everyone blames everything on Facebook, and it’s not really the website’s fault… it’s just that when I have a few minutes of downtime… Facebook is a great way to zone out (like TV can be for some people). More on the topic of Facebook in a moment. Laptop. Huh? Yeah… I’ve been using my husband’s laptop this summer to post and I got kinda addicted to the full keyboard and really my lifestyle matches up more with the mobile posting. Like, right now, I’m sitting on the porch while my boys are getting in their required hour of outside time… it has taken me 30 minutes to post this much because I’ve had to get my two year old in and out of the trampoline about 23 times. change both boys into their bathing suits. get a ball that went over the fence. kill a bug that was bothering my two year old. help my five year old haul his Lego bucket to the back porch. retrieve a toy leaf blower that was thrown into the pool. change a diaper. convince both boys to eat some breakfast. and turn the water hose on and off 7 times. Butttttt hopefully that’ll change… starting tomorrow I’m gonna do another three week hard-core Daniel Fast (only fruits, veggies, nuts) like I did for Lent, and I’ll be taking a sabbatical from Facebook as well so I can refocus myself during those “few minutes” of the day. Now, I had been playing around with the idea of another fast but just decided yesterday to do it for sure. And then, this morning, it was very interesting to observe my thoughts. January… it’s not about a “start date”. It’s about doing the right thing all the time. Each moment is a chance to honor God. You don’t… no, you shouldn’t wait until tomorrow to start. Right now is the time. Now the cool thing was… the old me would have just ignored the whisper. The new me… listened and obeyed. And I already got a bit of a taste of what I’ll get to experience these next three weeks. The joy of honoring God fully and completely. The joy of eating pure and close to God’s creation. The joy of finding his passion in my heart again. It’s gonna be a good three weeks. Admittedly, I probably direct most of my posts at women. It’s not necessarily on purpose, but it’s just because I am… a woman.. and it’s all I understand (and well, more often than not, I don’t even truly understand the mind of women either)! But lately two things have brought on some thoughts about men and dieting/covenanting. My friend Alice works in an environment of almost all men. When she started out on a non-sugar covenant, they were not exactly what we would call… supportive. She described it more as… mocking. So, as a result, she felt the need to be secretive about it. And understandably so! My husband has been on an on-again, off-again sorta-covenant. He wanted to lose weight and so he decided to knock out sugar, meat, and as much bread as possible. So, at the beginning of June he started a semi-covenant. I call it a semi-covenant because he has had meat and/or sugar five or six times since then. Why do men mock diets? Why are they ashamed to go on a diet? Why wouldn’t my husband want to commit fully to a covenant? And honestly, the more I think on it, the more I come to the conclusion that it’s the same answers for why a woman might mock or be ashamed and why a woman wouldn’t want to commit… it all boils down to control and fear. I mocked diets before because I was so insecure because they wouldn’t work for me. If I mocked skinny girls, buff guys, and their diets… well, then I was controlling the situation by drawing attention away from myself, so that what I feared (being mocked myself) would be less likely to happen… at least that’s how my subconscious worked. And the same goes for not wanting to commit… people want to control their environment and when you fully commit to a covenant, then some issues are no longer in your control: what to eat at a party or a restaurant? what to eat when a craving hits? what to do when you are hungry buy only have immediate access to non-covenant food? People, myself included, don’t like non-controllable moments. You have already failed God. And so once you realize that it is not about waiting until hitting rock bottom but that you are already at rock bottom and you have been at rock bottom since the first time you sinned (because “the person who keeps all of the laws except one is as guilty as a person who has broken all of God’s laws” James 2:10) then you can fully rely upon Christ to absorb any glory from your success and for Him to compensate for any of your failures. And then, there is truly no fear. Well, once again guys… I tried to write a post for the dudes, but it turns out that it was just for anyone. I guess that’s kind of what God means by not showing favoritism. A soul… is a soul. And for any guy out there wanting to covenant… it would be awesome to have your soul on the same journey! Yep. That’s right. Do not do this diet. I know you are probably thinking… what the heck? Here she has this big ol’ blog for 194 days (minus last week and those few days several months ago) and she is telling me not to do this diet?!?! Cause it’s not really a diet. I mean, yes, in a way it is… if you look at it from just a regular ol’ perspective, I’m a vegetarian (or lacto-ovo-pescetarian if you want to get reallllllllly specific) that doesn’t eat sugar. But honestly, that is such a small part of why I have lost weight. Jesus is the reason for the season. Okay, that’s a Christmas-time phrase, but I just like it cause it rhymes. But, really, Jesus IS the reason. I was eating way too much sugar (like, totally addicted kind of eating way too much sugar), and I was eating too much of… well, of everything. And so I realized after a bit that it wasn’t mainly about me fixing what I was eating as it was that I needed to fix the core of WHY I was eating. 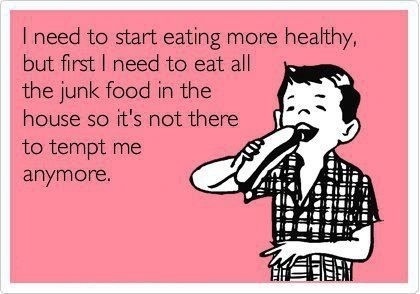 Figuring out the WHY of eating is not some kind of new idea that only I have had during the past seven months. In the past, I have read multiple diet books and watched videos and read psych textbooks that have made me go through that process of identifying the WHY, but each time I put the responsibility on MYSELF to do all the fixing. And well, I totally sucked at fixing myself. Seriously. It was like every time I tried to “fix” myself, I did worse. I would GAIN weight instead of losing it because… well… I wasn’t fixing myself at all. I was just giving myself a little pep talk (or more often, a guilt trip) and hoping that would change my entire viewpoint, my habits, my self-talk, etc. And then when another eating-for-the-wrong-reasons situation popped up, I would overeat to compensate for all the of time that I had been self-denied or whatnot, or I would eat to satiate my boredom, or to soothe my soul, or whatever. And so I had to get real with Jesus (and I often still have to get real with Him) and come face to face with those times and what was really going on. Cause after I started this covenant, it was very apparent to me pretty quickly that I had wayyyyy bigger issues than just eating a mixing bowl of cookie dough. In fact, that was just the tip of the iceberg, so to speak. And so the focus of my covenant became allowing God to renew me. allowing Him to mold me. to change me. to Love me. to encourage me. And it was no longer about losing weight. It was about honoring God. And I think because I chose what was right… to focus on Jesus (like Mary listening at the feet of Jesus) instead of choosing what the world might praise with losing weight and getting “healthy” (like Martha cooking up a meal), then… well… I think He blessed me for that. But ultimately, at the end of the year, the true blessing will not be the weight I have lost. In fact, the blessing will be all that I have gained. The renewed belief in the Power of God and the Love of Christ. The increased knowledge of scriptures. The identity in the things of eternity instead of the things of the world. The desire to be modest and ladylike. The ability to rely upon God for all things. And honestly, this list could go on and on but my phone is almost out of batteries! All of that to say, trust me… don’t do this diet. Do a covenant? Yes, I would totally encourage that. But a diet? Nah. When it comes to God, what you really want is not to lose… what you want is to gain! I am keenly reminded today (especially given my recent struggles) that it is not I that can overcome this issue in my life. It is not I that has overcome it so far. But it is the power of Jesus in my life. January, you can do everything right… eat all the right foods, avoid all the wrong ones, pray all the right prayers, and read all the right verses, but it is the Lord who gives the victory. And again I was reminded why I have loved this experience the most… and you would think that it would be going from a size 16 to a 10 (and I ain’t gonna deny it… that has been great), but far better than that has been the freedom. And not just the freedom from the pull of food (although at times those shackles suddenly appear on me again for a bit… I mean, seriously, who wouldn’t feel at least some kind of pull toward a plate of brownies?!?! ), but it has been the freedom from responsibility. I know, that sounds… wrong, but stick with me. The freedom from being responsible for the end result of things. Like, realizing that God is the one to give the victory… even if I get my horses alllllll ready… well, then I am free from feeling like either success or failure is my fault. And I’m free to just love God and be loved by Him. Not for what I have done or not done, but just because I am His daughter. So I guess I am becoming a bit of a Jesus hippie, cause really… HIS love is all you need. I’m starting to think that maybe saying “I’m healed” and “I’m cured” and whatnot… well, maybe it was a bit of a stretch. a bit too early. a bit… wrong. Cause lately I’m not feeling so “healed” or so ” cured” of this addiction. I mean, I’m not giving in, but I’m just alllllllllll over that line between covenant and non-covenant. In a way, I have lost the “spirit” of the covenant, and I think that bothers me just as much as actually breaking the covenant. And, honestly, I go back and forth a bit between beating myself up about it, then finding grace and mercy through my identity in Christ, and then back to beating myself up over it again. Occasionally, I season that routine with a bit of denial… or ignoring the issue, but if there is anything strong within me now that wasn’t there before… it is the Holy Spirit… and he is pretty good about convicting me and I am now not avoiding that conviction as much (key words: as much). Again, I have to remind myself that this is 33 years of habit that is having to be broken out of me… ripped out of me… and it’s a lot like my relationship to Christ (stick with me here)… cause I’m at the point where I no longer feel that I can separate myself from Christ. My life has been so full of him and so surrounded by him for so long that… well, I just don’t know me at all without Him. But, I have loved food even longer than I have loved Christ. I have relied upon food even longer than I have relied upon Christ. It is truly my deepest and most ingrained piece of my humanity… and well… it just doesn’t separate so easily. So when I can’t seem to detangle another strand of myself, that’s okay… because I can fix my eyes on Jesus. And even if that’s all I can do the rest of my life, then, well… that’s not a bad deal. I know, I know… long time, no blog. Well, I’m doing okay, and I didn’t drop off the face of the blogosphere because I was sitting in a corner of my house eating a vat of cookie dough (whew! )… I dropped off because my husband and I went on a business trip to Nashville. I’ve mentioned before that he invented a thing called ChordDice and we went up there for a thing called NAMM (National Association of Music Merchants) to pitch the product to a bunch of different stores and distributors. I got to be a little sales girl, and as much as I was totally fearful of the entire experience, it was so. much. funnnnnnn. Turns out I have a bit of a saleswoman inside of me cause not only did I have fun but I did pretty well on sales, too! And anyway, our hotel was awesome, but the internet there cost money, so no blogging for me while we were gone, but it was nice to have a little break… I’ll admit. We even did really well on our eating while we were gone… I’ll have a few stories that I’ll work on over the next few days to try to catch back up (although… yikes… I’m really far behind)! I never had to break the covenant, and I even got to have my first black bean burger at a Honky Tonk place off of Broadway… it was GOOD! Whereas I did really well on my eating while I was gone… I did horrrrrrrribly when we got home! You know that day after a trip where even though you might not have flown, you still have jet lag?!!? We picked up our kids on Tuesday, and then yesterday was just a veg around the house kind of day because I was completely exhausted! And with that exhaustion came that good ol’ eat cause I’m tired syndrome. I’m discovering that association that I have built-in my mind is going to be one of the most difficult to break. Probably because it is attached to some primal need to feed (pretty sure I have talked about that before) but either way… when I am really tired… all I want to do is eat. I want to feel full. None of this “satisfied” stuff for me. So, what did I gorge on yesterday??? I would put a little cheese on them to make them “necessary” for my “meal” and then scarf them down. Ugh. So frustrated with myself. But I guess it’s like so many other things in our personal life… we know that “good choices” lead to fulfillment, happiness, contentment, etc. but we often just keep on trudging in our “bad choices” or even “neutral choices” which can often have just as negative effects as the bad choices! However, at 9:30 last night, I knew that I could never, ever, ever, ever go back and change that day of overeating. I knew that I couldn’t erase it or block it out or make God do either of those things either. But I knew that I could make a choice at that moment, like I’ve mentioned before, to honor God… tomorrow. And so I went to bed around 9:30 last night so that I could honor God… today. And although I’m sure I wasn’t “perfect” today… it was much easier to stick with just a banana for breakfast this morning instead of chowing down on a bowl of Cheerios or something equally “blech” in an effort to appease a sleepy body. And so even now I am rushing through this post so that I can get my teeth brushed and crash out… because chasing these little rugrats of mine all around… yeah, I’m starting to think that this truly is the hardest job on the planet. At least it is one of the most exhausting! Our first day in Nashville, we drove straight to the convention center and unloaded all of our “gear” for the show and got it all set up for the next day. Fortunately, we had stopped at a Cracker Barrel just outside of Nashville for lunch, so we weren’t hungry at all until dinnertime rolled around. We got a recommendation from one of the men working at the convention center for a local place called Demos’… he said it was cheap and gooooood… just our style! Since it was only a few blocks away, we walked there from the convention center… hand-in-hand, smiling and laughing as a cool Tennessee breeze played over us. Haha- sounds like I’m trying to write a song or a poem or something, but honestly, it. was. idyllic. And then the restaurant, Demos’, was great! A unique menu, friendly wait-staff, a nice but casual facility, and as our friend had promised: affordable (especially for a downtown area). 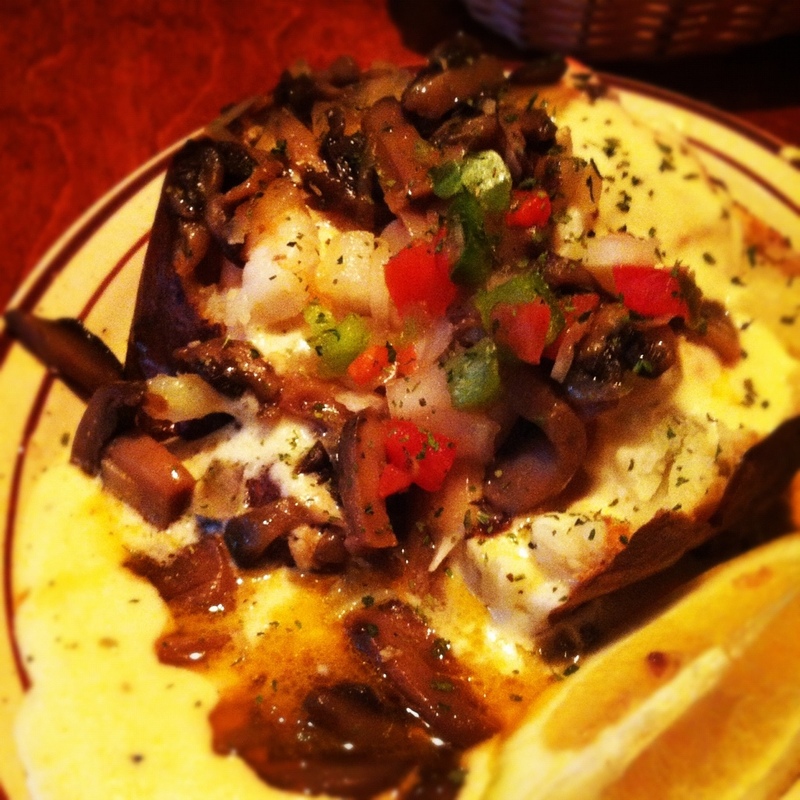 I got a baked potato stuffed with crab, shrimp, mushrooms, onions, and peppers… and doused in alfredo sauce. It was totally interesting and totally yummy and totally covenant! Now… here comes the thought provoking part of my post for those of you who were afraid that I was turning my blog into a regular ol’ Trip Advisor. Hehe! The night before this in Memphis, we decided to ear out leftovers from lunch instead of going out. We had cuddled up in bed and watched TV while we ate… which might sound lame, but it was a treat for us to do something like that… alone! But unfortunately, we ended up starving two hours later! We’d walked next door to the gas station and found some trail mix without chocolate and then went over across the street to the Burger King and split an order of fries. We bought some popcorn packs from the vending machine and did a sufficiently good job of burning it in our little in-room microwave. So, needless to say, neither of us wanted to get back to the hotel in Nashville and be hungry again. Cause, seriously, it takes a while to recover from the memory of burnt popcorn… we didn’t want that happening again… plus our Nashville hotel didn’t have a micro-fridge set up. So, at Demos’, we both ate… and ate… and ate… and ate. I wasn’t stuffed, but I wasn’t just satisfied either. I was fullllll. And well, I was over-eating for a reason, but then later I thought to myself… wait… just because I thought I had a logical reason for over-eating… does that mean that it was right??? So… really, on a small sorta subconscious level… that act was an act of fear and not faith. And fear is well… not for us. 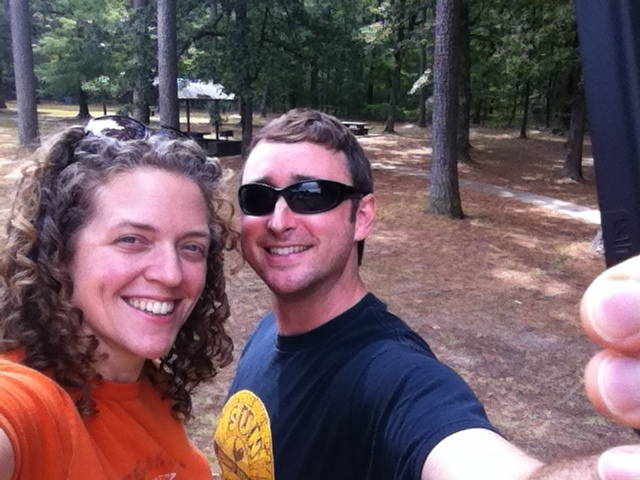 So, my husband and I were recently on a road trip through Arkansas. He has gotten so much into this healthy eating that he bought us a bunch of good things to snack on while we were driving… baby carrots, sliced bell peppers, celery, sugar snap peas, and mandarin oranges. He also had the idea since we are trying to eat healthy AND we are on a bit of a tight budget right now that we could make a cold pasta salad for lunch on the road. So the night before, I cooked up some cheese tortellini from Sam’s, cooled them off by rinsing them in the sink, and then divided them up into two Ziploc bags. I then threw in some coarsely chopped tomatoes gifted from our neighbor’s garden, some chopped fresh spinach leaves, fresh chopped basil, a couple of scoops of black olives (in my husband’s… not in mine… ick), and a bit of shredded parmesean cheese. Then I poured Brianna’s Caper Vinaigrette in each, closed up the baggies, and mixed it all together by sorta shaking the bag around some. Put it in the fridge overnight and hoped for the best! We stopped off somewhere in Arkansas at a rest stop just to walk around and thought it was so scenic (which it was) and we were pretty close to getting hungry, so we decided to just eat there! And dannnnnnnnng I made a goooooooood cold pasta salad! We dumped out half of our baggies into a couple of disposable bowls I had taken and chowed down as we stood (we were a little burnt out on sitting) and looked out into the picturesque nature. I’m gonna say it again: totally. brilliant. I didn’t feel that need-to-sleep feeling I tend to get after loading up on some fast food on a road trip. Plus, we got to experience a beautiful scene AND beautiful food. And it kind of made me realize that when I’m needing to eat, maybe it is better to first think about the experience I want… like, on vacation to find the scenery I want, or the ambiance, or whatever and THEN choose what I want to eat. Or at home, I could decide, do I want to experience the outdoors, the comfort of a chair, reading a book, and THEN choose what I want to eat to match that. It’s like choosing to have LIFE for lunch instead of food. Yesterday my husband got the CD player in our car replaced. We have had the same broken CD player in this particular car since we bought it back in 2005 but it played the radio so we just decided it wasn’t something we wanted to sink money into. Well, he recently rediscovered a CD player that I bought him back when we were dating that had been in his previous car and had it put in. And then I proceeded to bawl through the entire album. And one song in particular really spoke to me… and I listened to it so many times that my oldest son asked me if we could listen to something else! Ha! I was actually okay with it at that point because it was raining AND I was bawling, so I figured it would besaferif I turned it off! Here’s the song… I’m not going to write much about it because I think the words are already powerful. If you have never heard it sung, find it on YouTube or something cause it is… it is just wow. And I know that some of you will have heard the song before… maybe you even have the lyrics memorized… but just read it again. Just take one moment and read it again and especially that chorus… and just remember with me today… remember to listen to the Voice of Truth.